announced that $1.75 million in funding is being made available to tribes through two Bureau of Indian Education (BIE) initiatives: The Sovereignty in Indian Education (SIE) Enhancement Program and the Tribal Education Department (TED) Grant Program. These programs assist federally recognized tribes with building their tribal education departments and promoting tribal control of their schools. 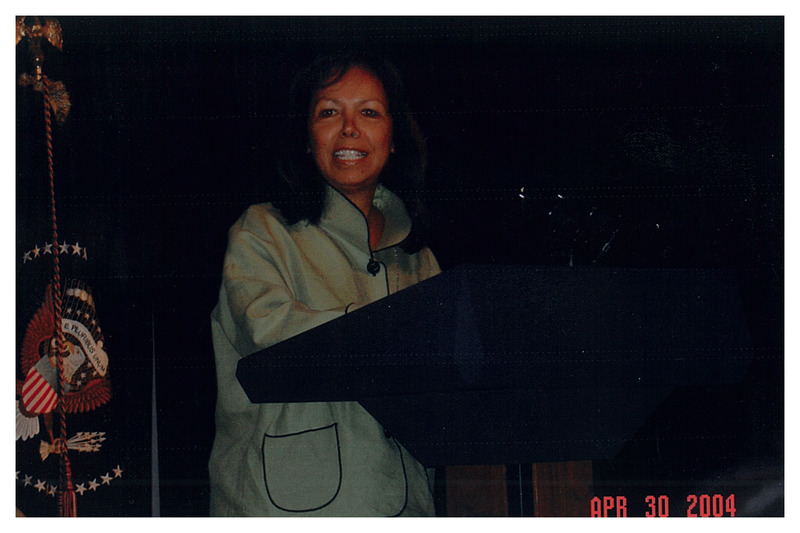 Vickie Vasquez, Assistant Deputy Secretary of the Office of Indian Education in 2004 who awarded NARF a grant to start TEDNA. Quinton Roman Nose, Marilyn Cuch (In 2004, President George W. Bush acknowledged Mrs. Cuch’s work in preparing American Indian/Alaska Native teachers at Haskell Indian Nations University, Lawrence, Kansas.) 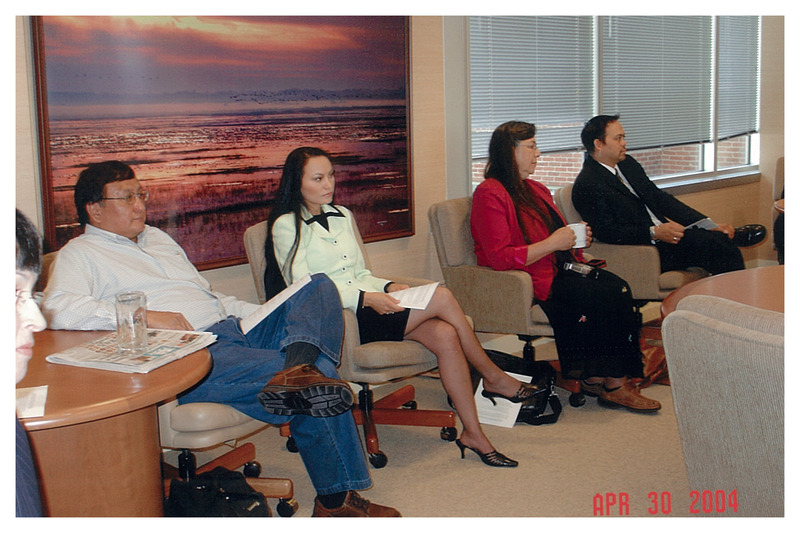 , Joyce Silverthorne, Jerome Jainga (except for Marilyn, all three are the founding members of TEDNA) at 2004 signing of Executive Order on Indian Education. 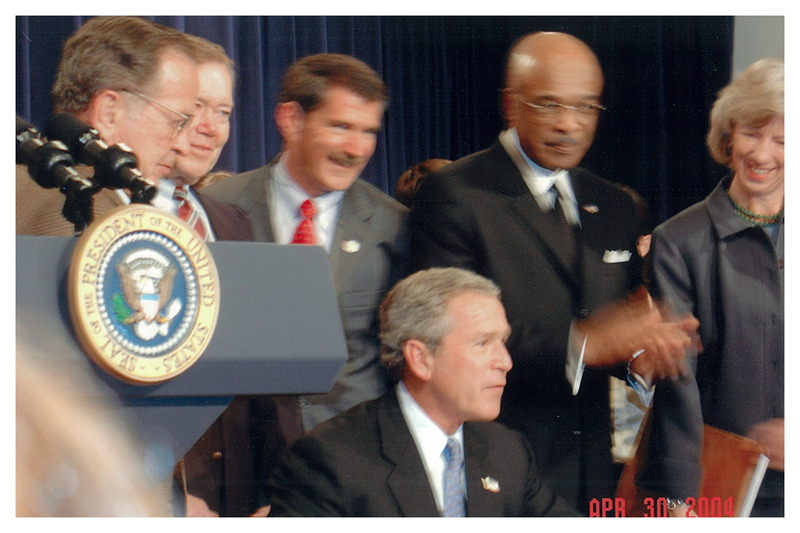 TEDNA was invited to White House to Executive Order signing by President Bush. Pic is President signing Executive Order. Eleven high school students and one recent college grad from the Rosebud Sioux Reservation in South Dakota are looking at homes in their community from a new perspective following their month-long participation in the Sustainable Building Research Experience and Mentoring program at the University of Colorado Boulder. This STEM outreach program, funded by the National Science Foundation and the university, is headed up by John Zhai, a professor and researcher on building systems engineering at CU-Boulder. The program grew out of his work developing new, more efficient, sustainable building materials for houses. Over the past three years Zhai and his colleagues have worked with 36 students and seven teachers from tribal communities, giving them hands-on experiences that included, this year, building a straw bale wall, making air quality monitors to identify mold in homes, doing energy audits, getting a taste of life on a university campus and having the opportunity to meet American Indian professionals in STEM fields. The first week students stayed on campus where they went to seminars, met with faculty and were introduced to college-level research. “We pushed them to do research with an emphasis on doing things correctly, following protocols and being thorough,” Wyatt Champion, CU-Boulder graduate student and lead instructor for the program, said. For the second week, students traveled to the Northern Cheyenne Reservation in Montana where they did energy audits under the instruction of Leo Campbell, Winnebago, a certified building analyst with the Building Performance Institute, and checked for mold in eight homes. Via Slate.com: Do American Indian Students Perform Better When They Have American Indian Teachers? HAYS-LODGE POLE, Montana—When Aloha Shortman asked her sixth-graders to find Italy on a world map during a social studies lesson last August, they couldn’t do it. One student’s finger landed on Brazil. Others grew bored and restless. Shortman quickly shifted gears, searching for a way to make a lesson on the Roman Republic relevant to a group of American Indian students in a remote Montana community. Several hands shot up. 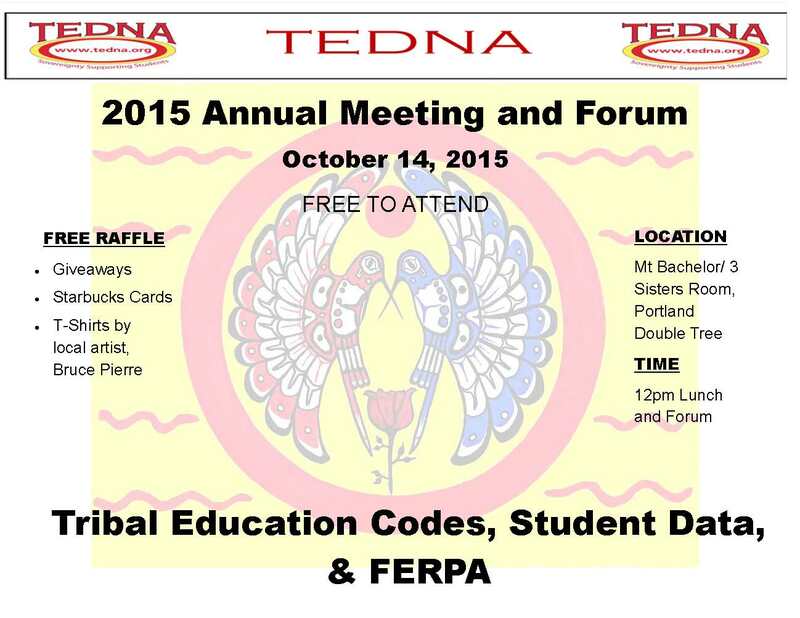 “The tribal code?” the first student answered correctly. After 11 years teaching, Shortman has a seemingly instinctive gift for redirecting a lesson if students aren’t responding. But if you ask her what makes her a great teacher, she discounts natural ability, experience, or training. First and foremost, she cites her status and cultural heritage as a American Indian. “The students here really have a lot of trust issues because of things that have happened to us,” she says. From the mid-19th to the mid-20th century, American Indian families were forced by law to send their children to government-sponsored boarding schools, which were often far from home and run by assimilationist white educators. Many white teachers physically or sexually abused their students, and that historical abuse, combined with modern-day discrimination, colors how American Indian children view white teachers. Across the country, America’s teaching force grossly fails to mirror an increasingly diverse student body. For the first time in the country’s history, more than half of public school students are nonwhite, while the most recent figures show that 82 percent of their teachers are white. The Center for American Progress reported last May that almost every state has a sizable diversity gap in the classroom. In recent years, a handful of Montana districts have been trying to change that, recruiting more teachers like Shortman to instruct a group that’s often overlooked in conversations about teacher diversity, yet potentially has the most to gain from positive improvements: American Indian students. Though every other major ethnic group in America has seen improvements in students’ reading and math scores in recent years, American Indian students’ scores haven’t budged. Experts point to the lack of teacher diversity as one potential explanation, and on some reservations, school leaders have become increasingly convinced that hiring more American Indian teachers like Aloha Shortman could help their struggling schools succeed. They believe that even the most sensitive white teachers who arrive on their reservations can’t do as much as American Indian teachers who share their students’ culture. American Indian teachers, they reason, might also be more likely to understand issues that affect so many of their students, such as intergenerational poverty, substance abuse, and suicide. The percentage of American Indian teachers in Montana has barely increased since the mid 1990s—rising from 1.9 percent in the 1995-1996 school year to 2.3 percent today. Yet many teachers and administrators are optimistic about the future of American Indian education in Montana. Denise Juneau, a member of the Blackfeet tribe, was elected as Montana’s superintendent of public instruction in 2008, becoming the first American Indian person in Montana to win a statewide election. And in the tiny communities of Hays and Lodge Pole, there has been a significant increase of American Indian teachers: In 1997, only 38 percent of the district’s teachers were American Indian, but that percentage is now 78. These efforts raise a question that resonates throughout the country: How much does a teacher’s race, class, and culture matter in the classroom? Do American Indian students need American Indian teachers in order to succeed?